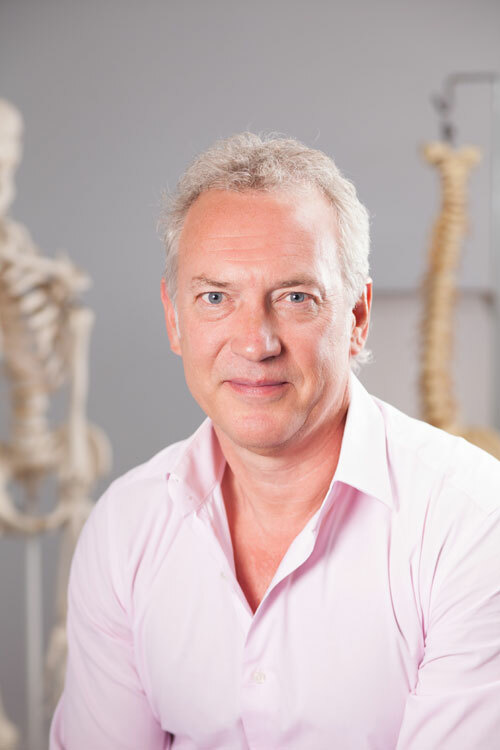 Steve graduated from the Anglo-European College of Chiropractic (AECC) in 1987, and is the principal and owner of the practice. He is an international postgraduate lecturer in paediatrics, sacro occipital technique and craniopathy. A world-authority, Steve specialises in paediatrics and craniopathy and is keen to share his expertise as widely as possible. He lectures extensively in the USA, Australia and Europe on the subject of pregnancy and paediatrics. He helped to develop the MSc in Applied Professional Development: Chiropractic Paediatrics at the AECC. And he is the author of the popular text book ‘Pregnancy and Paediatrics: A Chiropractic Approach’. He is a past Director of Academic Affairs for the College of Chiropractors Faculty of Paediatrics, has previously been the President of Sacro Occipital Technique Organisation International and Sacro Occipital Technique Organisation Europe. He served for 9 years on the regulatory body for chiropractic in the UK, the General Chiropractic Council. Steve’s particular passion for chiropractic arose from his personal experience when his son was young and developing badly due to a traumatic birth. The expert chiropractic treatment that his son received made such a difference to his life that it has driven Steve to develop and share his knowledge and experience to help more children.